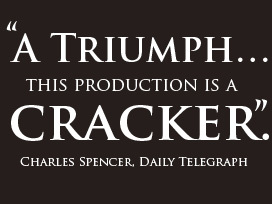 The Daily Telegraph Theatre Critic’s Choice April 2006. 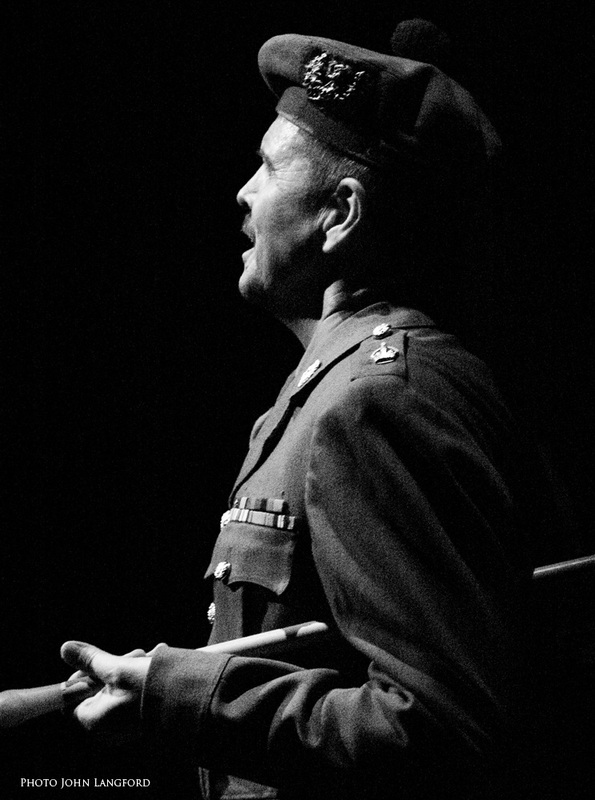 Award winning Middle Ground Theatre Company proudly presented the first ever UK touring stage adaptation of James Kennaway’s stunning TUNES OF GLORY. Originally a novel, Kennaway adapted his work for the big screen, which culminated in the legendary BAFTA-winning film starring Alec Guinness and John Mills and directed by Ronald Neame. 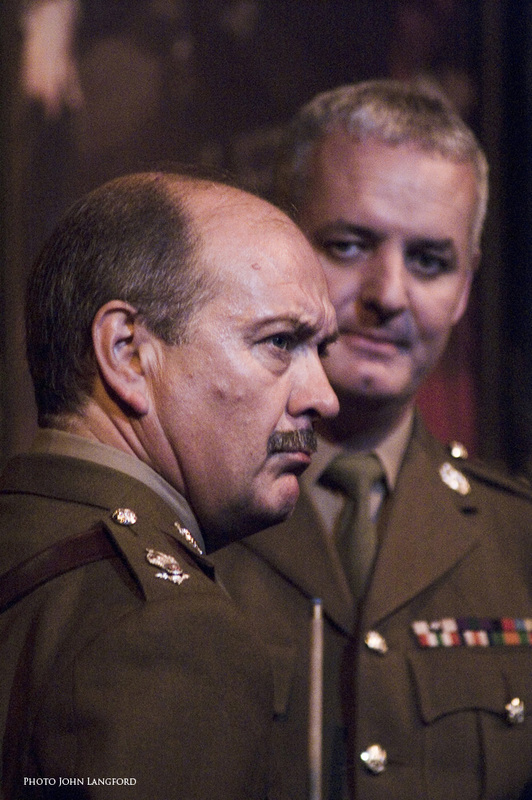 Middle Ground’s production starred acclaimed British actors Patrick Ryecart, Stuart McGugan, Richard Walsh, Rupert Baker plus a full supporting cast totaling fifteen. Set in a snowy highland regiment barracks in the 1950’s, the acting Colonel is Major Jock Sinclair, a charismatic drunk, wild and stormy, a hero of El Alamein in WWII, who has worked his way through the ranks the hard way – “Boot boy, band boy, Barlinnie Jail” – to command his beloved regiment. However, his command is short lived, as he is replaced by Colonel Basil Barrow, an ex-public school/Sandhurst veteran of a WWII Japanese POW camp. He is a “work-by-the-book” officer devoted to restoring the faded glory of this undisciplined regiment. The two clash instantly forcing allegiance from those around them in a conflict that is doomed to tragedy. An innocent daughter, her forbidden lover and Jock’s love Mary are just a few caught up in a deadly end-game. The outcome is both shocking and devastating in this sharply observed, gripping heartfelt story. The production’s Artistic Director and designer was Middle Ground Producer Michael Lunney, joined by Assistant Director Richard Walsh. Together they directed an acting company of fifteen who performed in many of the original military costumes from the 1960 film. Cinematic film images and scenarios were shot on location and projected, fusing seamlessly into the action on stage. Extensive footage of the London Scottish Regiment’s Pipes & Drums band performing in the original film’s costumes at the Royal Artillery Barracks in Woolwich were among the film scenarios. A specially-composed musical score was been written by Mat Larkin. 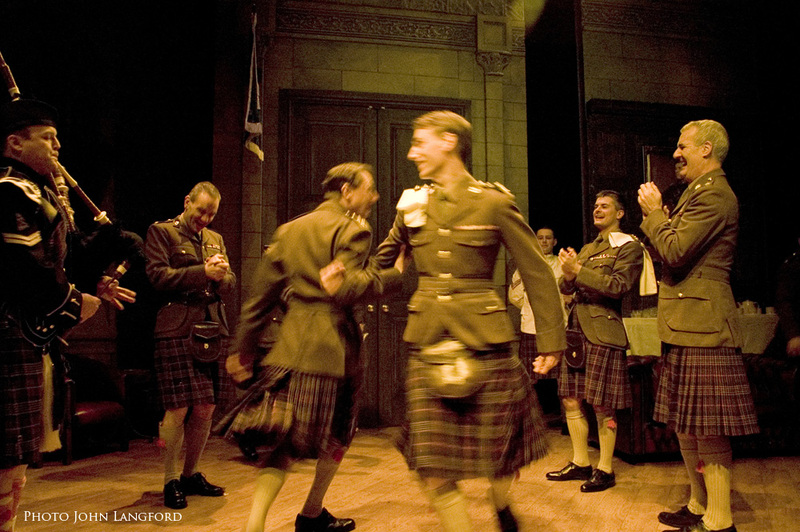 The stage design included ‘set revolves’ and digitally reproduced and painted backcloths, with the design itself being inspired by both the interior and exterior of Edinburgh Castle.